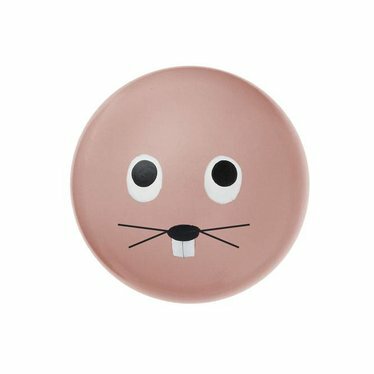 Sweet wall hook with rabbit's face for the nursery. 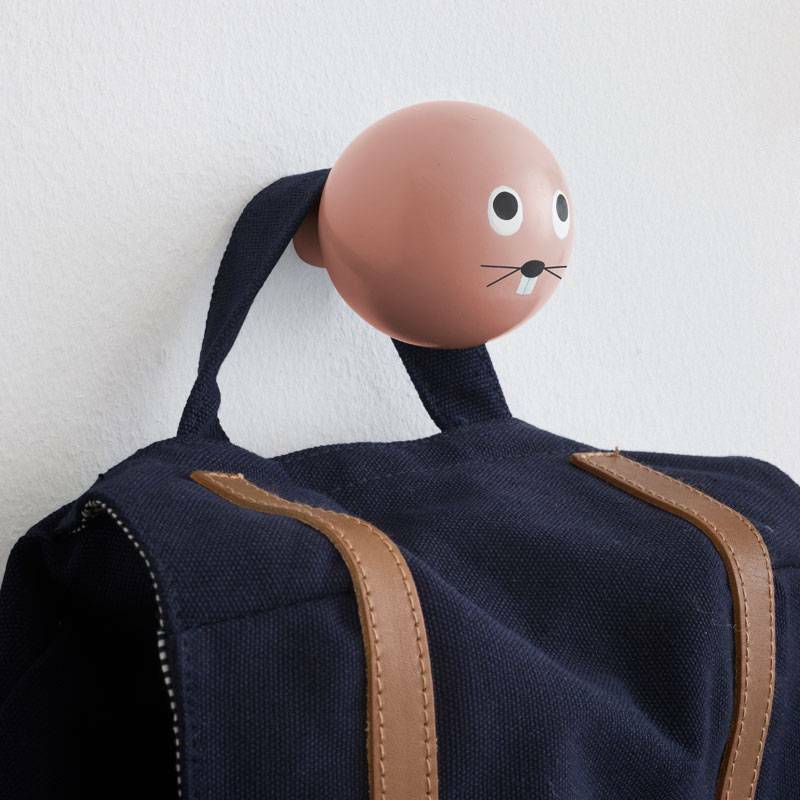 Made of varnished beech wood. Size 5.5 cm. 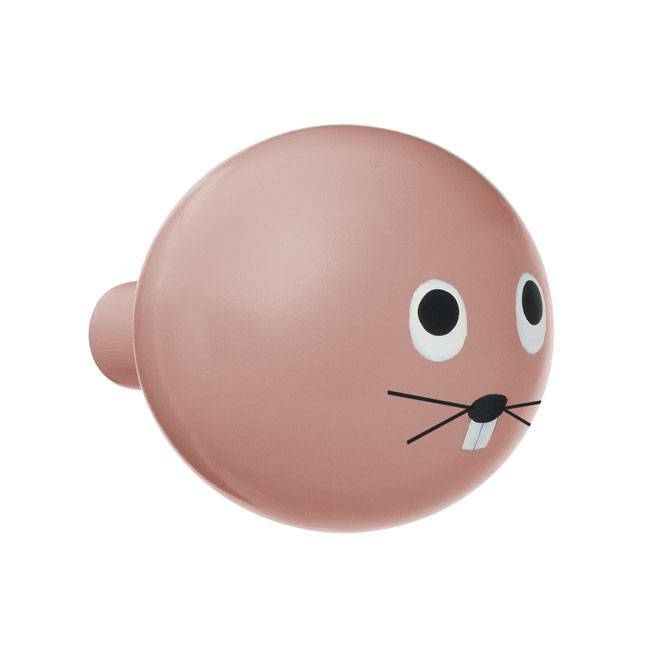 Cheerful round wall hook with the snout of a rabbit. 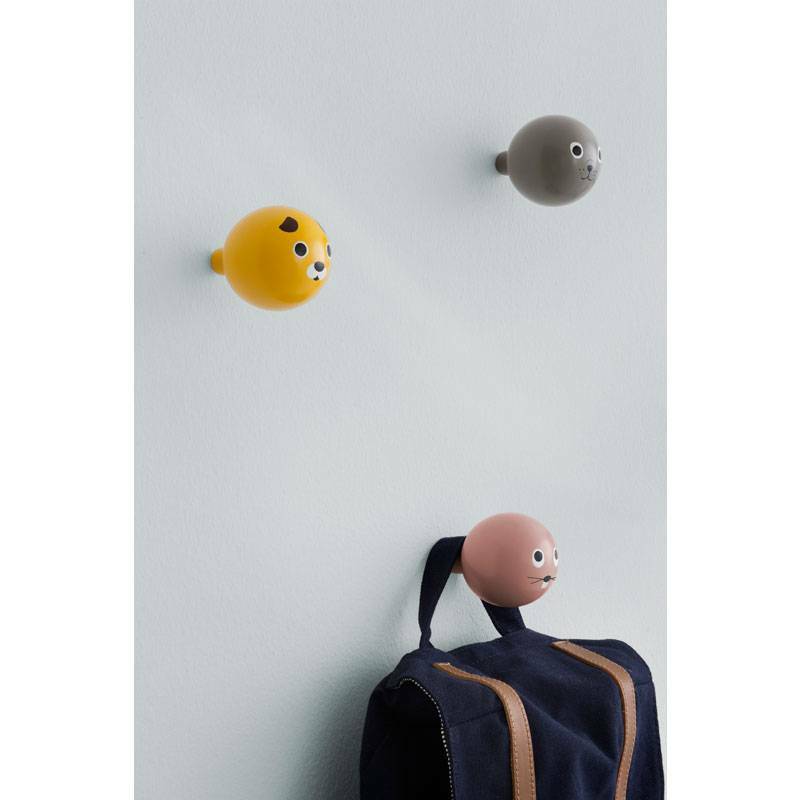 The wall hook has a spherical shape, is made of wood and hand painted. 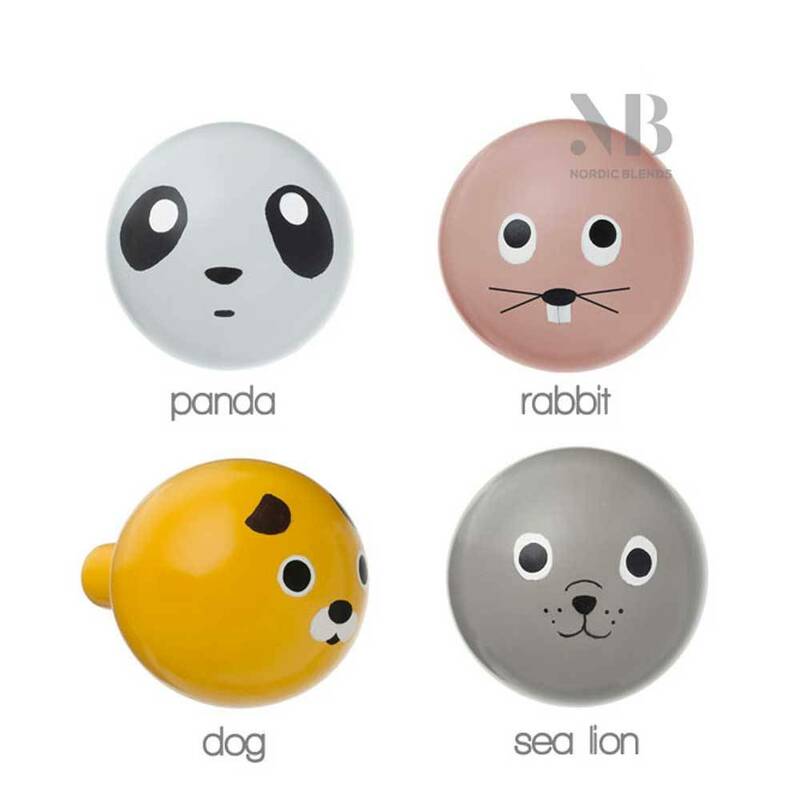 There are 4 different animals to choose from.